The report proposal aims at drawing a necessary framework that is useful in formulating and analyzing how privatization of enterprises that are owned by the state can be useful in combating corruption. Privatization of state owned companies refers to the transfer of ownership of the identified companies to private investors or sectors (Hoppe & Schmitz 2010). It can also be referred to as purchasing of outstanding shares of publicly traded companies by the private investors. Corruption can be termed as the form of criminal law activity or dishonesty undertaken by any organization or individuals entrusted with authority or position of power so as to gain illicit benefits. Corruption within Australia is very uncommon as compared to other existing countries within the globe. "Transparency International's 2016 corruption Perception index" ranked the Australia state as thirteenth out of one hundred and eighty countries (Kaufmann et al 2007). The country with the least corruption rate is New Zealand (Kaufmann et al 2007). The public sector's corruption in the country is considered to be increasing and is also related to the rate of corruption within other developed countries (Olken 2011). Corruption within Australia does not only occur in public institutions but it’s also exists at a very low extent in private sectors. Some of the sectors were corruption is estimated within Australia are; political parties, trade unions, and media houses. In the month of January 2018, the Australia institute published a discussion paper suggesting how trust in the Australian government is historically low due to corruption, this was considered as one of the possible reasons why the Gross Domestic Product of the country reduced as low by a reduction rate of 4% (Kaufmann et al 2007). Different countermeasures within the state are undertaken to curb damages caused by corruption. Most of these countermeasures undertaken lie within the judicial system. An individual convicted of corruption and proved guilty serves a 10 years' imprisonment or/and a maximum fine of AUD 1.1 million. 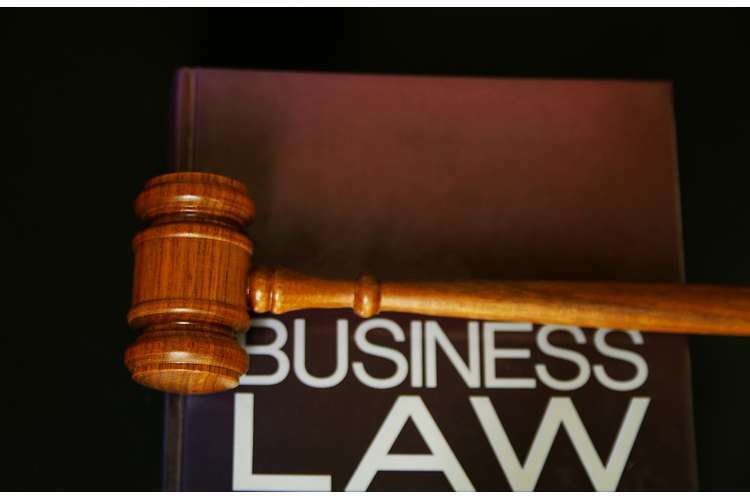 For a business or an entity that involves in corruption is penalized with a fine. This fine has a maximum value of AUD 17 MILLION which is thrice the value of obtained undue benefit. Besides these countermeasures there is also a need of privatization of public enterprises within Australia since it is easy to monitor the private sector and also it’s easier to issue out penalties (Kaufmann et al 2007). Privatization of these public entities will help the government reduce on the budget deficits and also cut debts. It will also lead to technical efficiency or rather effectiveness in the provision of services (Chowdhury 2006). While analyzing the impact of privatization of Public sectors to combat corruption within the sector, the following research question will be so useful in carrying out the study and research. Is privatization the solution for combating corruption within state owned enterprises? The following two hypotheses are considered while carrying out the research on the privatization of public or state owned companies. The first hypothesis states that “Privatization of State Owned Enterprises leads to a reduction of corruption and economic growth”. Using this hypothesis in the research two variables are considered while proving it. One of the variable is the ownership is the extent of ownership which considered to be the independent variable. Using this variable, research will identify ownership in private and public sectors affects different factors within these enterprises for example business growth, efficiency of employees, commitment, as well as fraud and embezzlement in the business (Kaufmann et al 2007). The other variable to be considered is foreign direct Investment and is considered as the dependent variable. Foreign direct Investment (FDI) is referred to as investments done by a company or an individual within a given country into trade interests situated in another nation. In summary, it is kind of investment where an entity in one country owns a business venture within another country(Kaufmann et al 2007). Therefore through the research using the given hypothesis, the relationship between "Extent of ownership (independent variable)" and "Foreign Direct Investment (dependent)" will be analyzed(David 2014). The second hypothesis states that "Privatization of State Owned Enterprises improves firm's efficiency". While analyzing and proving the validity of the above hypothesis, two variables are two be used. The one of the variable considered is the "extent of ownership" which is considered to be the independent variable. The extent of ownership as described in the first hypothesis will focus at how both private and public sectors own their business as well as how their ownership affect the different attributes within the enterprises(Kaufmann et al 2007). The impacts of ownership in both sector on; business growth, resource utilization, employee commitment, and revenue will be analyzed. The other variable that would be considered while proving the validity of the hypothesis is “profitability of the firm or business enterprise”, this is considered to be the dependent variable (Kaufmann et al 2007). The profitability of the firm will be dependent on the “extent of ownership of the enterprise” and there correlation will be determined with in the research paper. Profitability of the firm looks at how the firm utilizes its available resources so as to come up with adequate profits. The costs of production will be lower as compared to the revenue obtained by the firms. Cost of production looks at cost of labour, cost of resources and time used in production (Florio 2004). The purpose of the research question is to help in facilitation of progress in the prevention of corruption particularly in governmental or state owned enterprises within Australia and other countries. The paper proposes privatization of publically owned enterprises as the only solution for curbing the corruption. Corruption within state owned enterprises is very deadly; it can lead to inefficiency, low profitability, and low progress of these enterprise. Corruption within Australia among State owned companied is uncommon though in some neighboring ASEAN countries it is available (Police Integrity Commission (PIC NSW) 2011). Australia has always been fighting corruption and therefore it has a very strong domestic, regional, and global action of preventing and exposing it. In the fighting of corruption it includes the "G20 Anti-corruption working group", "United Nations Convention against Corruption working Groups", and "APEC Anti-Corruption and Transparency Working Group". There are strict fights against corruption in the country in that most of the individuals within the state believe that acquisition of luxury gifts from politicians it's corruption in bribery form (Kemp 2007). Given the fact that there is less corruption in Australia among state owned enterprises, there is a need to effectively solve it. Besides Australia, there are also other neighboring countries which are affected by corruption in the public sector where privatization is the solution. Privatization also has other advantages such as efficiency where there are incentives of introducing better and new technology and also increase productivity of labor, production is based on profit motives thus increasing productivity, and also there is development in the production knowledge where private firms only employ workers and managers with better skills (Kaufmann et al 2007). The last one and half decades have greatly witnessed an important shift to entrepreneurial capitalism from state socialism. The very most visible and important aspect of path has always been the exuberance with which government of political persuasions are selling state owned enterprises(SOEs) to private sector and investors with hopes of improving the generally unsatisfying economic performance of the firms. Privatization has a number of effects both positive and negative. It may increase effectiveness of the publically owned companies or may merely lead to their collapse. Research notes that there are numerous state owned enterprises that are privatized; by 1991, over 2000 state Owned companies were privatized in developing countries. Currently a number of countries are awakened to fight corruption within government enterprises (Alexandra 2012). This because corruption is taken as antithetical to the intent of public administration. Public administration refers to executive government taken as an activity or entity. Public administration can refer to authorities, public offices, agencies, as well as commissions that are delivering government programs and policies. Corruption is referred always to as breakdown of state owned enterprises and public service institutions. Currently, anti-corruption state parties to UNCA and the OECD anti-bribery conventions are finding possible ways of cubing corruption within the sector. A number of instruments have been applied and accompanied by handbooks, instruction manuals, training tools, databases so as to guide policy and technical monitoring and implementation programs that could be useful in maintaining and measuring effectiveness (Mills 2011). Therefore, privatization of these state owned enterprises should also be considered as one of the measures that would be useful. Through the study of the available literature about the existence of corruption in state owned enterprises, one would come up with the desire of curbing its causes. There are number of possible ways on how corruption can be avoided in the stated enterprises. In some countries like Australia, corruption is not very rampant and is not a very big obstacle to trade and business (David et al 2008). Developed countries are well known for their independent and well-functioning judiciary, very low corruption levels, and crystal clear regulatory climates. However in Australia, there is existence of corruption in the mining industry as well as foreign bribery. Foreign bribery within Australia is covered in the "criminal code", each and every state and territories in the state has a unique anti-corruption provisions (De Sousa 2009). Different countries are using different judicial penalties for corruption, Australia convicts a person to 10 years of imprisonment maximally or/and pay AUD 1.1 million. In china one of the punishments to corruption is death by hanging which is related to drug punishment. There is less corruption in Australian police and police within other countries. The rate of corruption within the police is at 5% and always the state have very effective corruption techniques and mechanisms to detect and prevent corruption. Other sectors where there is low corruption risks include; legislation, Public Procurement, Customs administration, Land Administration as well as tax administration. This because these offices are completely monitored so as to avoid corruption. There are very high risks of corruption within the natural resources extraction sector within Australia (John et al 2007). This is because the Western Australia's performance in taxation, licensing, as well as budgeting is very poor. "Transparency International" has discovered that the sector of mining within Queensland and Western Australia are very fictile to corruption because of licensing process weaknesses and failure of operating diligently. Given the fact that corruption within state owned enterprises can possibly be reduced through privatization since a number of nations have tried it out (OECD 2012), Privatization also has some disadvantages given the fact that they are out-weighed by the advantages (Huisman&Vande -Walle 2010). Some of these disadvantages are; since the private investors are profit-oriented, they possibly ignore external benefits and external costs such as pollution, there is also a possibility of these private firms to carryout private monopolies for example use of trains, charging high prices on electricity, water, and fuel (UNODC 2010). Considering the two hypotheses, “Privatization of State Owned Enterprises leads to a reduction of corruption and economic growth” and "Privatization of State Owned Enterprises improves firm's efficiency" plus the three variables chosen, there is a possibility of curbing corruption. The extent of private ownership will be very useful in promoting efficient use of resource, work commitment by the employees, reduced fraud, and profitability within the enterprise system. The extent of public ownership will protect external costs and the environment but cannot favor profitability of the business. Foreign direct Investment (FDI) which refers to investments of one enterprise in a given country with offices in another country can be favored and easily promoted within privately owned enterprises unlike in state owned enterprises. Therefore at a given extent, there is need of privatization of some State owned enterprises so as to increase there efficiency. While conducting the research, Varying methodological components and guidelines are to be used when building the research process. The research is based on answering one research question which is seeking to understand how privatization can combat corruption within state owned enterprises (Batory 2012). While conducting the research two different data collection methods are proposed; the data collected from these two data collection procedures will be used in answering the research question as well as proving the hypothesis. While using primary data collection methodology, a qualitative survey is to be conducted. Carrying out the survey will involve the use of questionnaires that will be useful in the collection of primary data. It would be necessary to use online survey sites since they are flexible, time consuming, and reach a number of individuals. The participants while applying the primary data collection technique. The participants in this research are going to be obtained through carrying out stratified sampling technique so as to obtain the needed individuals. The total number of participants to be used in the research is 20 individuals who will be interviewed physically on the view of privatization of state Owned enterprises. Online survey sites for example survey monkey would also be useful in gaining unlimited information from different individuals without time wasting. The research design that will be used while carrying out this data collection technique is mixed-method design. Mixed-method design involves the systematical evaluation and summarization of results from various individuals thus increasing the sample size and also researcher’s ability to study the point of effect (Burch & Carolyn 2016). This will be useful in obtaining data related to the research question as well as the identified hypotheses. This research design was used because different researchers and participants are going to be used in conducting the research. Some of the participants are going to physically participate with the researcher while others are going to participate through online sites. A mixed-method design is very important since it combines both qualitative and quantitative data collection techniques thus thorough evaluation of the problem at hand (Kendig et al 2014. The mixed-method design at the same time looks so much at the research question than just the methodologies applied therefore making it easier to come up with enough information. While collecting the needed primary data, there are various methodologies which are to be applied as described above, some of these are use of questionnaires answered physically and through online sites. The different techniques which will be used in analyzing the obtained data are qualitative and quantitative data analysis techniques. Qualitative deals with non-numerical data while quantitative deals with numerical data (Creswell & David 2018). Secondary data collection technique deals with obtaining, analysis, and evaluation of already existing information or data from different sources. The sources of this data are always known as secondary sources. Some of these sources are; journals, internet databases, academic books, and many others. While carrying out secondary data collection method, qualitative and quantitative data collection methodologies could be applied (Anastasia 2015). Qualitative data collection will focus on the obtaining of non-numerical data which means it deals with descriptive data from different secondary sources. Quantitative data collection deals with numerical data rather than descriptive data. Both of these techniques are very wonderful and strong tools with secondary data collection procedures. While dealing with secondary data collection there is no need of collection of information from participants rather there is need of data analysts. While dealing with collection of secondary data, historical research design will be applied. This deals with collection, verification, and synthesis of evidence from already existing information or past information for establishment of facts that refute or defend the hypotheses (Pearson & Savitt 2015.). Historical design applies secondary sources and numerous primary documentary evidences, such as official records, diaries, archives, non-textual information [pictures, visual recordings, maps, and picture]. These sources should be both valid and authentic to be considered as data sources. Some of the importance of this research design are; the historical records are helpful in adding useful contextual background that is very required in fully interpreting and understanding the research problem, with this research design there is possibility of subject-researcher interactions that could possibly affect the results, and the approach is best suited for the trend analysis (Gorard 2013). While carrying out the data collection, different sources of data would be used. These sources should involve how privatization of state owned companies helps in overcoming corruption with the country. Some of these sources include journals, maps, pictures, diaries, and archives (Brun et al 2011). Given the many advantages over-weighing the disadvantages of privatization of state owned enterprises such as; reduced fraud and embezzlement, increased profitability of the enterprise, increased commitment of the workers, and other advantages; there is need for carrying out privatization. The research also will indicate whether the FDI (Foreign Direct Investment) is high in private enterprises as compared to that in publically owned enterprises (Rothstein 2011). The research will be carried out effectively using both primary data collection techniques and secondary data collection techniques. The information from both of these data collection methods will be qualitatively and quantitatively analyzed so as to draw conclusions whether there are impacts of privatization of State owned enterprises when combating corruption within the country. 1. These are some of the foreseen barriers which might occur when carrying out the research. 2. There is a possibility of hardly getting the needful participants with prior knowledge about privatization even though employees from state owned and private enterprises are requested to involve in the research. 3. There is a possibility of failure to obtain the necessary and needed data about the impact of privatization when curbing corruption in state owned enterprises. 4. There is possibility of failing to meet the set timeline while carrying out the research as identified in the proposal because the obtained information may be strenuous and ambiguous. 1. Alexandra, M. 2012: Causes of corruption in public sector institutions and its impact on business development. 2. Kaufmann, D., A. Kraay , M. Mastruzzi. 2007. “Measuring corruption: myths and realities” in Transparency International Global Corruption Report 2007 Cambridge University Press Cambridge pp 318-323. 3. Mills, A. 2011. “Corruption risk factors: a review of 100 NSW ICAC inquiries” paper presented at Australian Public Sector Anti-corruption Conference Fremantle. 9. Huisman, W., Vande -Walle G. 2010. “The criminology of corruption” in G. de Graaf, P. von Maravic and P. Wagenaar (eds). The good cause: Theoretical perspectives on corruption Burdich Publishing. 11. Batory, A. 2012. “Why do anti-corruption laws fail in Central Eastern Europe? A target compliance perspective” Regulation & Governance (2012) 6, 66–82. 13. Chowdhury, F. L. 2006. ‘’Corrupt Bureaucracy and Privatization of Tax Enforcement’’: Pathak Samabesh, Dhaka. 18. David, M., Dilip, M., Gonzalo, C., Jaime, S. 2008. "The Distributive Impact of Privatization in Latin America: Evidence from Four Countries", Brookings Institution Press, p. 162. 19. Florio, M. 2004. – “The Great Divestiture: Evaluating the Welfare Impact of the British Privatizations, 1979–1997” (MIT Press, 2004). Book review by William L. Megginson, Journal of Economic Literature, Vol. XLIV (March 2006) p. 172. 22. Burch, Patricia and Carolyn J. Heinrich.2016. Mixed Methods for Policy Research and Program Evaluation. Thousand Oaks, CA: Sage. 24. Creswell, John W. and J. David Creswell. 2018. Research Design: Qualitative, Quantitative, and Mixed Methods Approaches. 5th edition. Thousand Oaks, CA: Sage. 25. Gorard, Stephen. 2013. Research Design: Creating Robust Approaches for the Social Sciences. Thousand Oaks, CA: Sage.